Using their unique ePipe “in-place” pipe restoration technology, TDT restores pipes right within the walls, without tearing them out. I’ve seen this revolutionary technology used by Gary Gould’s trained teams in homes, hospitals, universities, major hotels, resort facilities, apartments, industrial facilities, and even out on off-shore drilling platforms. TDT’s ePipe system restores piping systems in half the time and with virtually no destruction when compared to a repipe. Newly restored pipes will never corrode, pit or scale. A permanent, safe solution, in potable water systems ePipe from TDT uses only coating materials that are NSF approved and UPC listed for safe use. Once restored, your system will no longer leach lead or copper contaminants. Your water stays pure, clean and safe to drink. 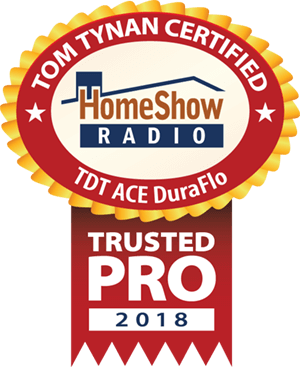 Serving the Greater Houston area, TDT Plumbing is a trusted HomeShow Pro, certified by HomeShow Radio’s Tom Tynan. Fill out this form for priority response from Texas Drain Technologies. How can Texas Drain Technologies help you? • Repipe vs ePipe: Is pipe restoration a better choice?